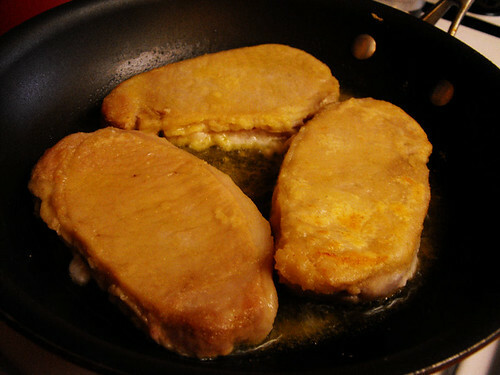 I love these pork chops, they are so flavorful and so tender and you would think it took a lot of work to prepare this dish or that you had to use all these fancy ingredients, when in fact you didn't. 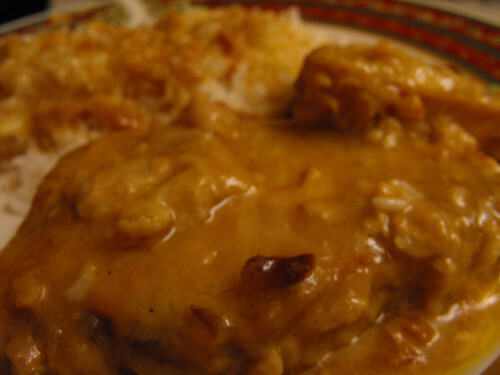 The gravy is really good on mashed potatoes or rice (my kids favorite) and let's not forget that anything you can throw in the crockpot in the morning and not have to worry about all day, is perfect for those mid week meals. Mix the flour, salt and garlic powder together. I use a ziploc bag so it's minimal cleaning afterwards. Drop the chops into the flour mixture and shake really well until completely covered. Brown them in a little oil, you don't need to cook them all the way through, just a minute or two on each side until they're nice and brown. Transfer to the crockpot. Mix the soup and water together. Pour into the skillet, stir well scraping the bottom for all the yummy pieces left by the chops. Pour over the chops and cook on low for 6 to 8 hours. 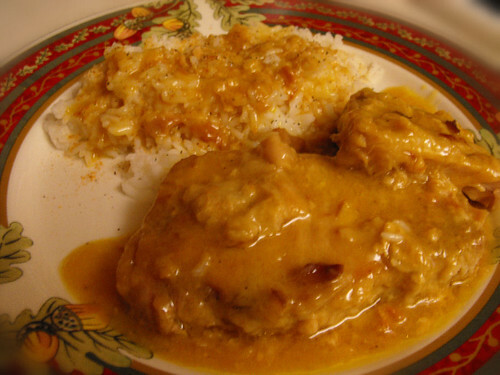 Serve with mashed potatoes or rice.....but be sure to drizzle some of that yummy gravy on top. Mmmmmm! i don't use my crock enough, this is a wonderful idea, i'll make it right away. only just discovered your blog. glad of it. will be coming back. dana. wonderful blog..am trying out the milk tatrlet as i write this..will let u know how it turned out and link to u when i do post it...thanks! Baked Grilled Cheese & Ham Sandwiches!